There has been a serious outbreak of E. coli in Europe. At least 2,200 people have gotten sick or shown symptoms and 22 people in Germany have died. E. coli is short for Escherichia coli. It is a type of bacteria normally found in the body. Most kinds (or “strains”) of E. coli are harmless and even help the body. 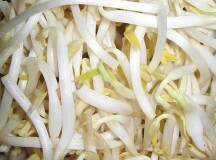 The strains included in the outbreak, however, are a harmful kind, causing food poisoning. Food poisoning from E. coli usually happens when people eat unwashed vegetables or undercooked meat. Big cities like Toronto and Ottawa have a lot of traffic. All of those cars, taxis, trucks and buses create a lot of pollution. They also make getting around the city very difficult. There are a lot of traffic jams in big cities. Some people ride bikes in the city. However, lots of bikes get stolen. Also, it can sometimes be difficult to find an empty spot in a bike rack when you want to store your bike downtown. Those things can discourage people from riding their bike around a big city. But because biking is a much healthier way to travel than using a car, the City of Toronto and the City of Ottawa wanted to encourage people to ride a bike. 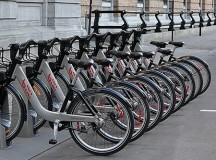 This summer, Toronto and Ottawa partnered with a company called Bixi to offer a new program which lets people rent a bike for short trips. People can ride to from one place to another downtown without having to own, use or lock up their own bicycle. Thousands of young students across Canada take part in science projects to learn about the world around them. 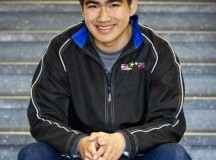 Marshall Zhang, 16, in grade 11 in Richmond Hill, Ont., earned first place in a national science competition this year. He discovered something amazing while doing research on a disease called cystic fibrosis. Marshall used a supercomputer network called SCINET. He had never used the network before, but quickly learned how to use it because he was already good at using computers. “Marshall applied his interest and skills in computer graphics, which he developed while in Grade 5 and 6, to solve problems presented by cystic fibrosis,” said Tony Legault, the Toronto co-ordinator for the Sanofi-Aventis BioTalent Challenge science competition. 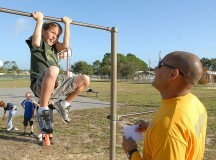 Combining exercise and school work may boost kids’ ability to learn, according to a new study. Researchers looked at students in grades 1 to 6 in a school in South Carolina where students often didn’t do well on tests. They increased the children’s gym classes from 40 minutes a week to 40 minutes a day and changed their exercise programs so the kids were doing exercise and learning at the same time. For instance, the kids in grades 1 and 2 hopped through ladders while naming the colours on each rung. 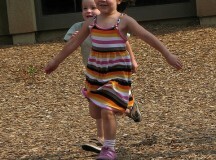 Or they crawled across the floor, recognizing and calling out different shapes. When you can’t reach your goal, what do you do? Lower the goal, according to the Canadian government. That’s what they’re doing with Canada’s fitness guidelines. Only 12 per cent of kids and less than 50 per cent of adults get as much exercise as they’re supposed to, so the government is bringing down the standards. They’re hoping that with a lower goal to shoot for, more people will try harder to get as much exercise as they need. They will no longer be serving Whoppers at Sick Kids Hospital in Toronto, after the fast-food restaurant closed down in the food court there recently. Canada’s largest hospital for children made the choice to close down the Burger King because of its unhealthy options such cheeseburgers and French fries, which are high in fat and salt. The hospital is meant to offer healthy food choices for the visitors and staff. A doctor at Sick Kids named Vishal Avinashi started a Facebook group called, “Burger King should NOT be allowed to operate at Sick Kids Hospital.” There are 269 members in the group, and more are joining each day. Avinashi tried to raise awareness of the messages that the hospital is sending by offering unhealthy options. 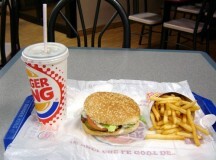 He says the hospital is, “setting the wrong example” by allowing fast-food restaurants to sell unhealthy food there. In the National Hockey League (NHL), many players have gotten concussions this year. A concussion happens when you accidentally hit your head really hard, like when you’re playing sports or running around. The rate of head injuries has gone up this season. The NHL’s general managers met with Gary Bettman, the commissioner, recently to talk about how they could make hockey safer for the players. Bettman says he believes that as many as a quarter of all hits in hockey are “illegal hits” – in other words, not allowed in hockey. The Happiest Person In The U.S.
Alvin Wong is the happiest person in the United States. Literally. From the information, Gallup was able to figure out what makes Americans happy. There have been a lot of articles in the newspapers about concussions recently. A concussion happens when you hit your head, hard. For instance, if you run into a tree on the playground, or if someone hits you in the head when you’re playing a sport, or if you fall down and hit your head hard on the ground you can get a concussion. That’s why in many sports, you must wear a helmet. Helmets can often help prevent a concussion. Sometimes people go unconscious (black out) when they get a concussion but sometimes they don’t. Research shows that people who have just been hit in the head usually don’t know when they have a concussion. Here’s a trick question: How many ingredients are there in oatmeal? One, right? OK, even if you count the oats and the water, that’s two. So… two at most, right? Not when you get oatmeal at McDonald’s. The fast-food chain, noted for making food that is very bad for you, has recently added oatmeal to its menu as a healthy option for customers in the United States.